It’s that time of year again …. cold and flu season is upon us!! 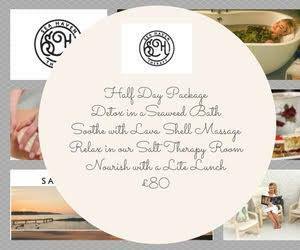 Did you know that Ballycastle has a salt therapy room?? Salt therapy is a natural therapy that can help manage the symptoms of respiratory conditions reducing the occurrence of sneezing, wheezing and coughing. This natural therapy is also safe for children struggling with respiratory conditions at this time of the year. With it’s anti-inflammatory and anti-bacterial properties the inhaled salt particles aid in reducing respiratory inflammation and bacteria growth, loosens and breaks up mucus to help expel it, and helps eliminate toxins and allergens. 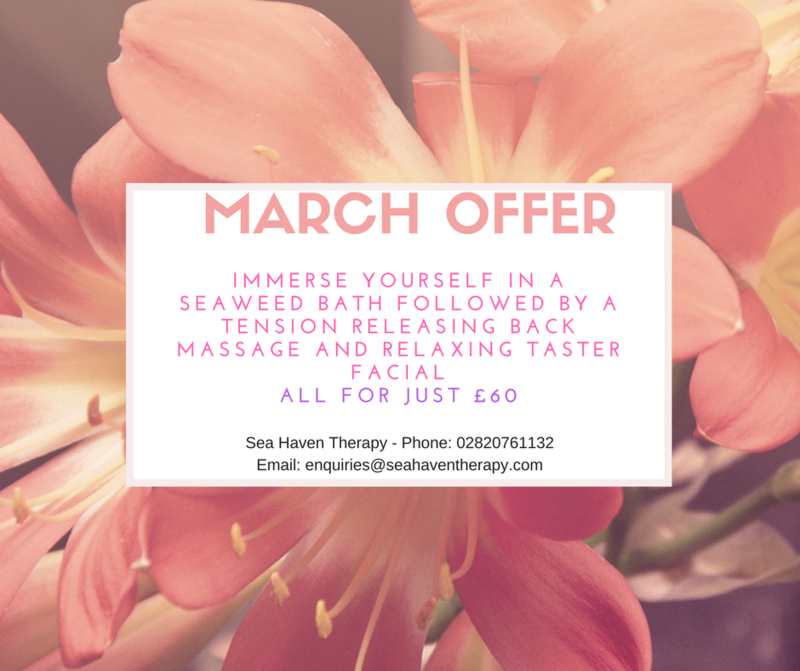 Salt therapy can be beneficial for those with respiratory conditions such as asthma, COPD, Cystic Fibrosis and hay fever/allergies as well as ex smokers. With every session your airways get cleared and cleansed and this process can happen on a deeper level each time. It can alleviate sneezing, coughing and shortness of breath, clear mucus and phlegm from the lungs, boost the immune system and improve lung function. Power packed with grapeseed, cinnamon, tea tree, ginger and nutmeg, this warming and detoxifying wrap with leave you feeling energised and toned. 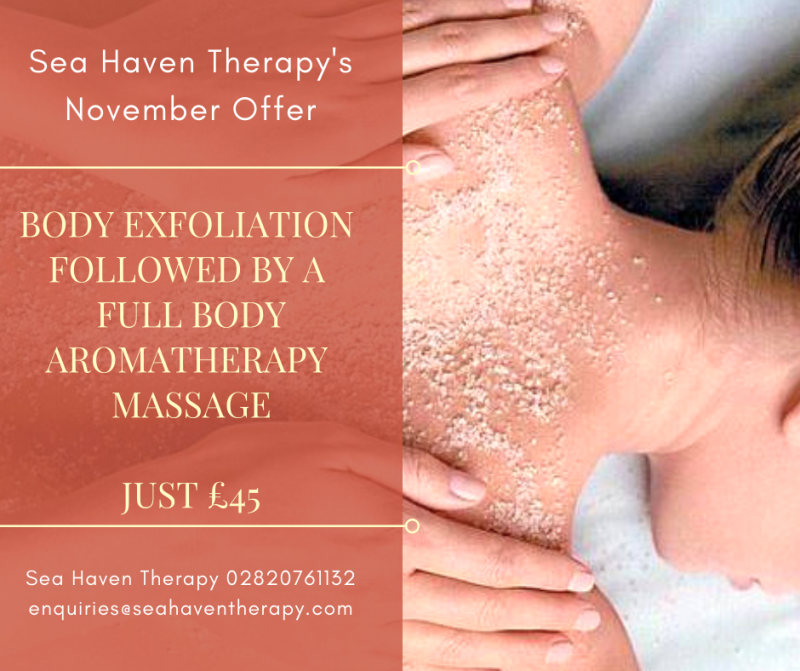 Starting with our scrub to stimulate circulation and exfoliate the skin before moving on to a lymphatic drainage massage using our body toning gel. 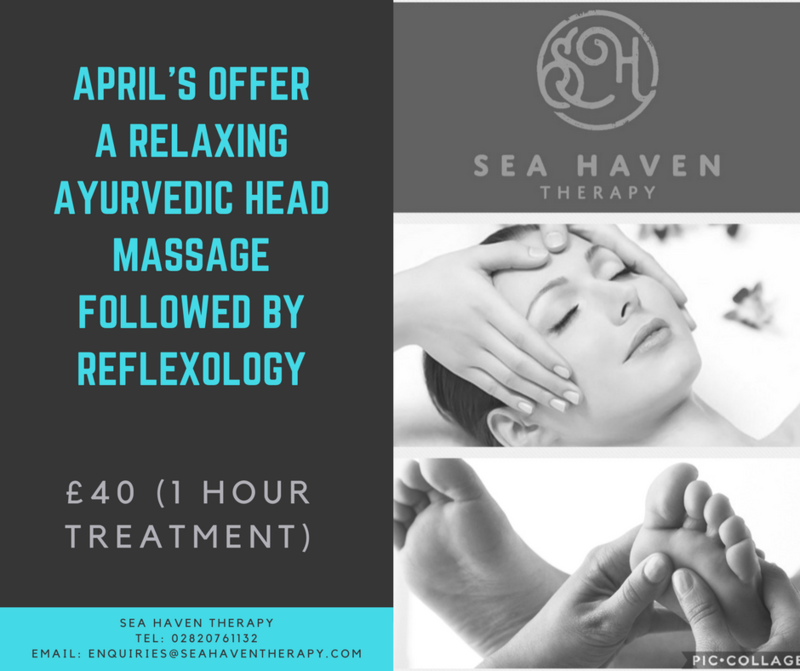 Then you will be wrapped in our thermal blanket for 10 minutes whilst receiving a relaxing head massage. 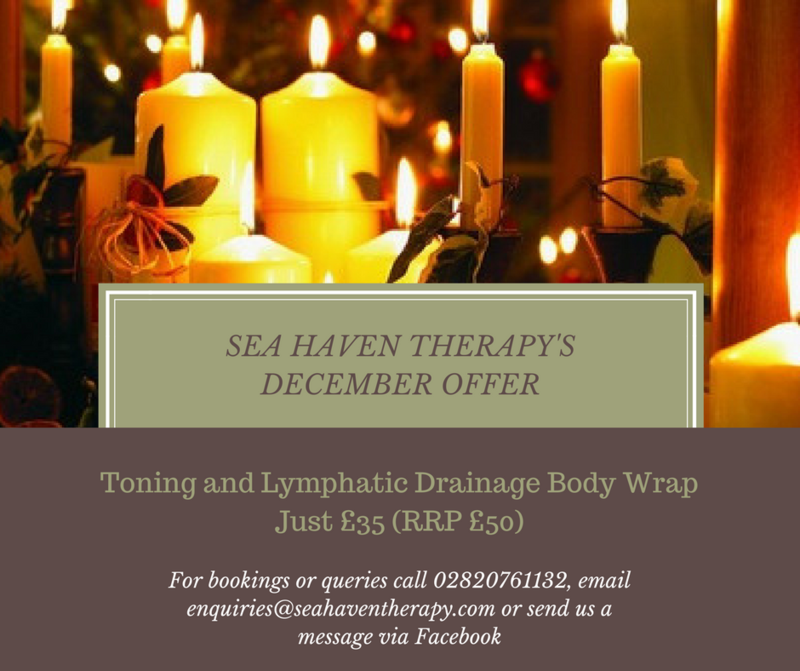 This treatment is finished off with a light application of body toning cream. 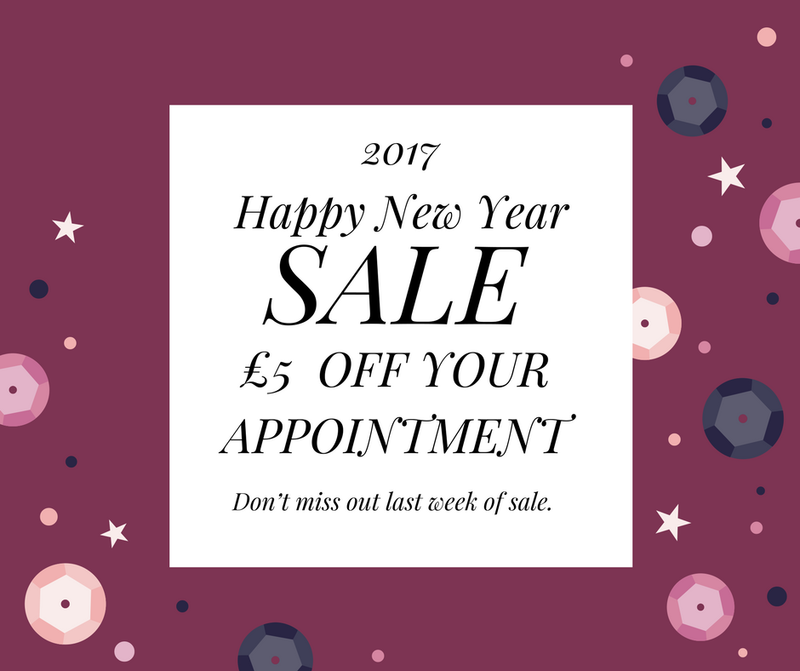 All this for an amazing £35 – a saving of £15. or message us via Facebook. 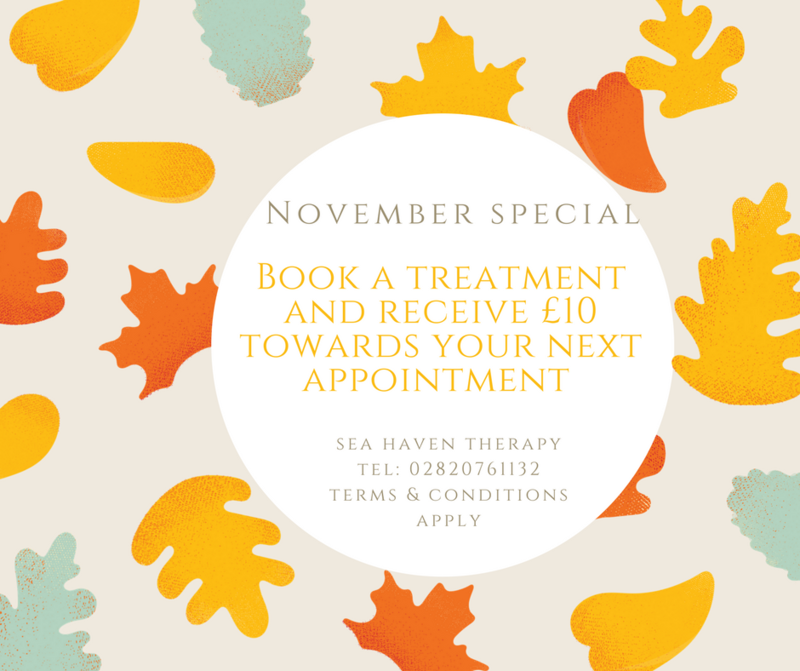 Banish the winter blues by enjoying a treatment with us throughout November and receive £10 towards your next appointment. 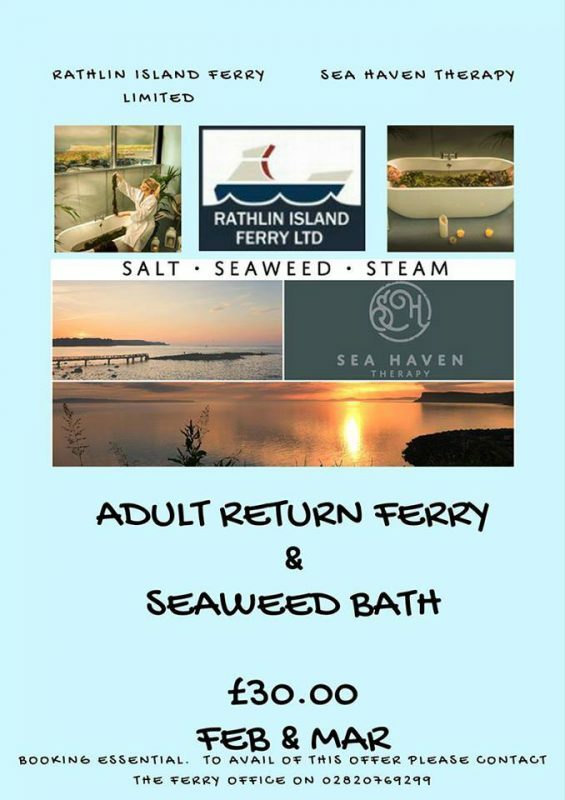 This fantastic offer is available throughout February and March in conjunction with Rathlin Island Ferry Ltd. 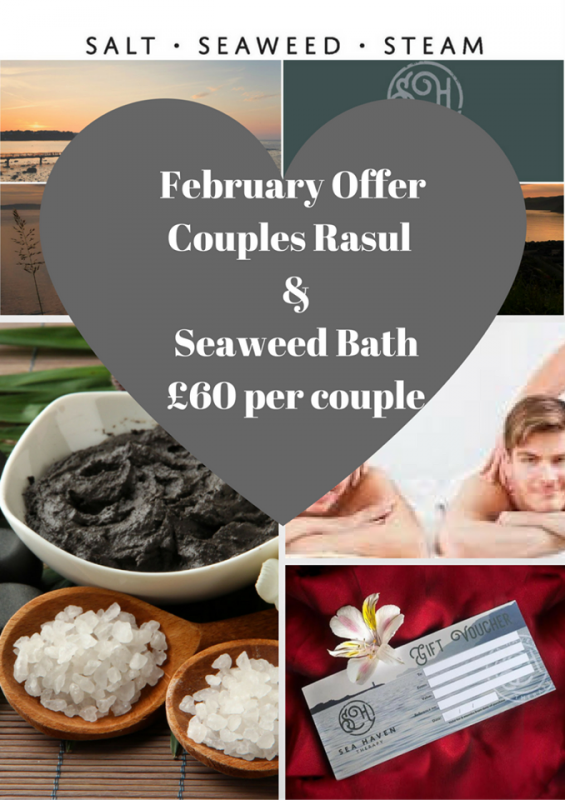 Perfect for a romantic Valentine’s treat for two.